My name is Suzanne Duarte. I was born in July 1944 when World War II was in full swing—before the baby boom. The nuclear age was born on my first birthday, with the first atomic bomb detonation. My lifetime has been filled with momentous events for the human collective, the planet, and future generations of all living beings. And my focus has been, and is, on those events and their implications. I am an American teacher, writer, activist, astrologer, and the primary author of this website and blog. As a student of Chögyam Trungpa Rinpoche, I taught Buddhist meditation and philosophy for more than twenty years, warriorship in the Shambhala tradition for over ten years, and environmental philosophy (deep ecology and 'contemplative ecology') and ecopsychology for twelve years. I was active in the international rainforest movement and the Deep Ecology Movement. I wrote many articles on Buddhism and ecology, stories for anthologies, and Lessons of the Rainforest (co-authored under the name Suzanne Head). After working with the Rainforest Action Network in San Francisco, California, I began teaching environmental philosophy at Naropa University in Boulder, Colorado. I currently live in Amsterdam, the Netherlands. Some of my previously published and unpublished writings are on this website, in addition to the essays I’ve written for this site. The point of view expressed under the Dharmagaians banner is unconventional. It crosses boundaries, challenges conventional assumptions, makes connections, and points in directions of growth, healing, and evolution. The Dharmagaians vision applies learnings from dharma, ecology, psychology, philosophy, and evolution to global environmental and political issues, with an eco-psycho-spiritual perspective. See Dharmagaians Intro for the vision, Dharmagaian Allies for my teachers and inspirations, and About this Site for more about this site and how to navigate it. If you’re interested in the lineages and journey that led to Dharmagaians, see Lineages and Journey. 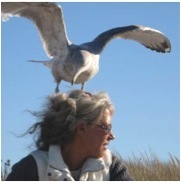 For my experiences of nature as a healer and teacher, see my Ecobiography. See Services for what I can offer other Dharmagaians. Hildy Maze, an artist whose deep friendship of over 30 years has supported my journey in countless ways, and whose dedicated research has enriched the essays and links throughout this website. John T. McClellan, whose soulful friendship opened many Dharmagaian doors for me over the course of the last 24 years. John P. Milton, Robert Grantham, Robert Heinzman, and Roz McClellan, whose friendship and creative collaboration introduced me to environmental activism and brought Lessons of the Rainforest into manifestation. Danny Moses of Sierra Club Books, the kindest Dharmagaian editor a budding environmental writer could have. Rick Fields, first a housemate, playmate and friend, then my editor at the Vajradhatu Sun, then a collaborator in Dharmagaian mischief and vision, and always an encourager of my writing. Marc Bekoff, tireless advocate for animal welfare and kinship, who kindly initiated me into activism on behalf of animals. His blog is Animal Emotions. 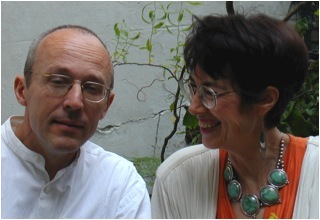 Susanne Vincent, my most perspicacious Dharmagaian critic and astrology and Chi Kung coach. Jan-Paul Vroom, my husband, who has supported the development of this site in every way, and without whose technical assistance it would not have been possible. And last but not least, the many students of Dharma and Gaia who have inspired me to go ever deeper in my learning and teaching, and to integrate it all as much as possible.